*Thank you so much for the lovely embroideries that you give. Thank you for the BFC 10,000 member free designs, and the BFC 11th Anniversary free designs. 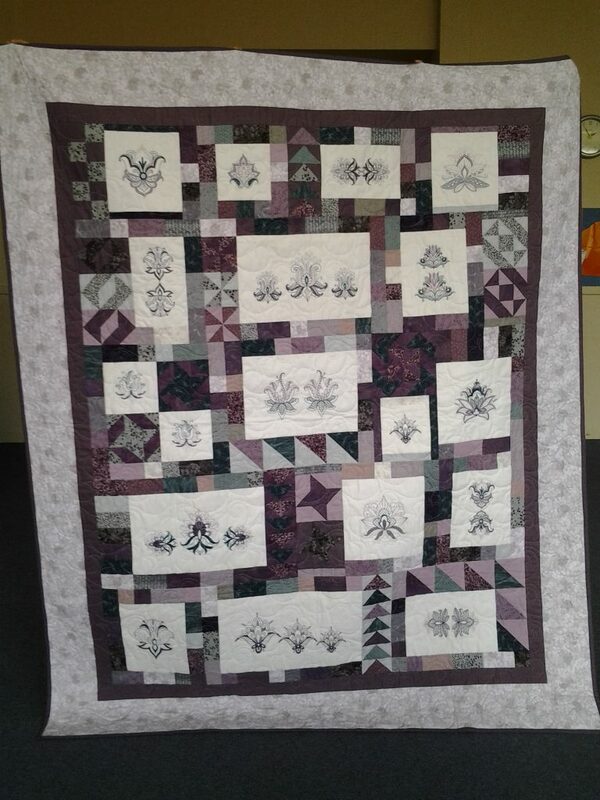 l promised you that l would send the quilt made with the 11th Anniversary designs, l am also resending the 10,000 member. 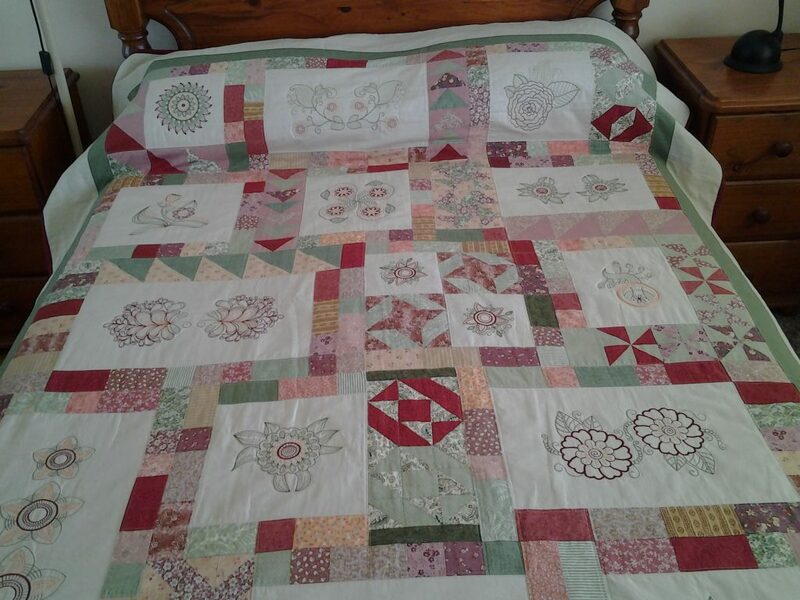 l have put a few close ups the designs are so pretty and the colours show how pretty they are. 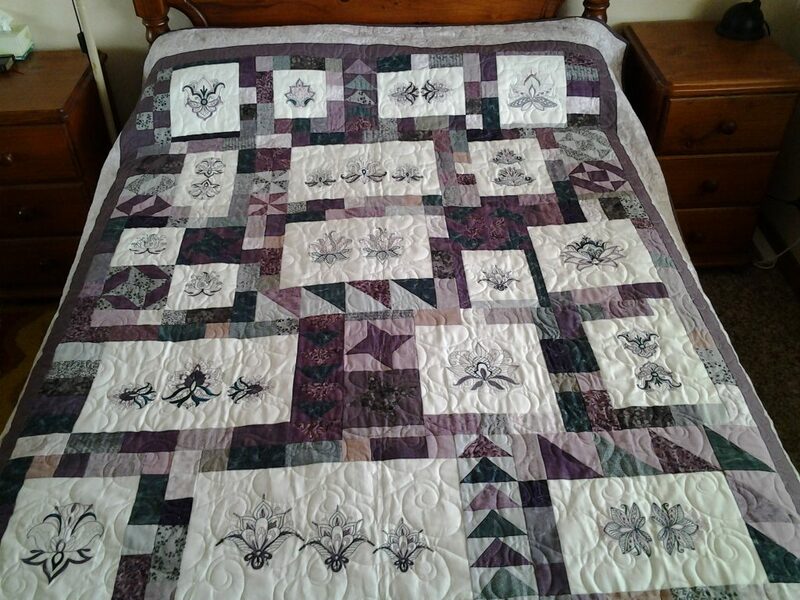 These are Vicki Purnell’s quilt designs. Please take note of what Sue has got to say here about your passwords …………I always recorded my passwords and web sites in a little note book that I kept in my bag….YES the bag got taken and so the little book went the same way as well and it has taken me over two years to prove to owners of web sites that I belonged to and some I had bought from for years that I needed to change my password because I had changed my e mails address as well and no I did not have a drivers licence any more [the only vehicle I now drive is an electric wheelchair]with my photo on it that I can scan to prove I am who I say I am….this to banks I have dealt with for years. it is just not worth the effort so change you password regularly.